London has introduced a tax to combat air pollution. Dan and Catherine teach you how to use language in the news in your everyday English. 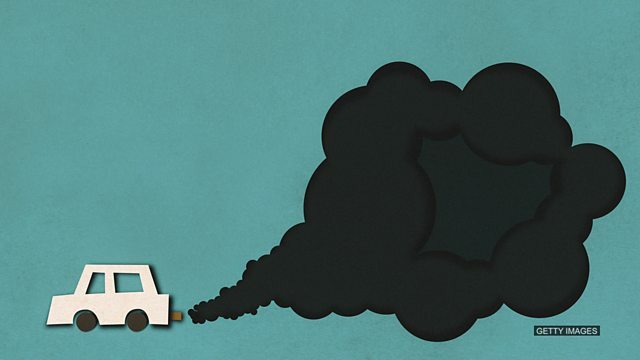 The T-charge, a new daily tax on London's worst polluting cars, has been introduced. The T-charge, a tax to combat air pollution, has been launched in London. The ‘T’ stands for 'toxicity' – the noun form of 'toxic', meaning 'poisonous'. Which of these words does NOT also mean 'toxic'? Owners of the most polluting cars will have to pay an extra £10 to drive in central London from today. The T-charge, or toxicity charge, will apply to older diesel and petrol vehicles in what’s been described as the toughest emission standard of any world-ranking city. It’ll be levied on top of the congestion charge. Some health charities have welcomed the move, others say it doesn’t go far enough. Normally, your passport would be denied, but since you are ______ due to your birth place, please find enclosed your documents. Remember, you are a father now. You are the ______ by which your son will learn how to be a man. I've been trying to ______ his need for a cigarette by giving him chocolate whenever he wants to smoke.